As the new century began, several advances had been made in the health field. The government passed the Pure Food and Drug laws that protect us still. Unwrapped candy bars and public drinking cups disappeared from the scene. Doctors were receiving better training and there was hospital care available. But, health was not improving. Crowded living conditions in the housing around the new mills gave rise to tuberculosis, and other highly contagious diseases such as measles, scarlet fever, and smallpox. The long hours at work in the hot mills combined with the walk home in the cold created respiratory problems. Many died of pneumonia. In the summer, there was the threat of typhoid fever and polio. There was very little indoor plumbing even in the city, and houses were heated with coal or oil. Cooking stoves were also fueled by coal. The open flames, the constant heating of water on the stove led to fires and scalding of young children. Most children were still born at home with the aid of a mid-wife or doctor. After World War I, new medicines and vaccines were to irradicate epidemics. 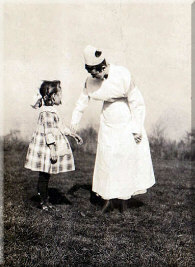 Then came 1918 and Influenza spread worldwide – killing 675,000.